L–R: Stobbs, Clarke, Prince and Acton outside the Constitutional Court in Johannesburg, 2017. 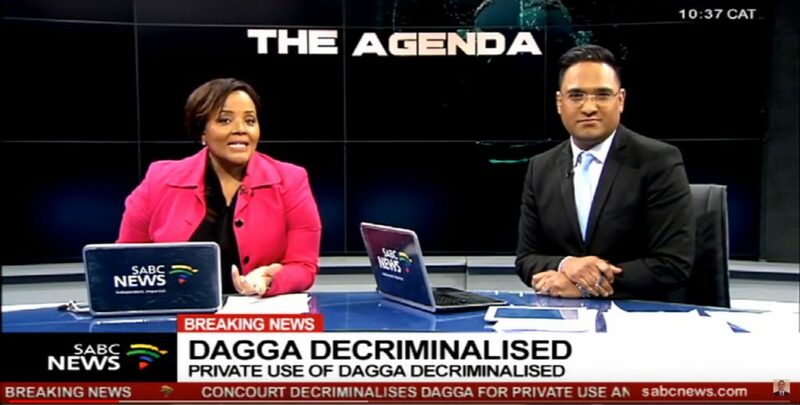 As of September 18, 2018, it is now legal for any adult in South Africa to consume, possess and grow cannabis — or dagga, as it’s commonly known — for personal use. In a historic decision handed down by the Constitutional Court of South Africa, the ban on cannabis was declared unconstitutional and therefore invalid. Deputy Chief Justice Raymond Zondo was continuously interrupted by jubilant shouts of joy while he read out the judgment. People screaming in joy in con court. A man screams “Babylon” in court. … Garreth Prince, you defeated Goliath screams a man repeatedly. Never seen such happy lawyers and gallery. Its more joyful than Christmas here. 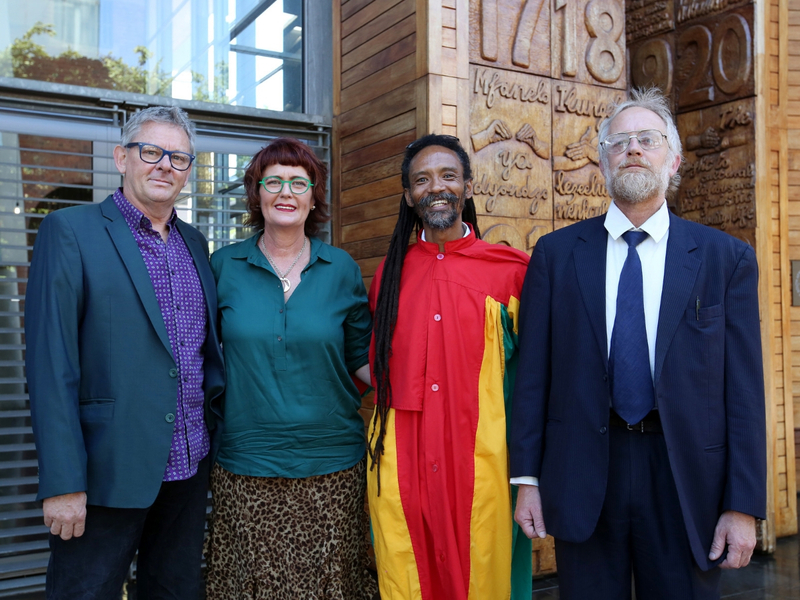 The resounding victory came after years of hard work by activists Ras Gareth Prince, Jeremy Acton and the Dagga Couple, Jules Stobbs and Myrtle Clarke, who decided to join forces after Prince and Acton won a case at the Western Cape High Court in Cape Town in March, 2017. The state appealed that verdict immediately and the Dagga Couple were admitted as co-applicants of Prince and Acton. This meant that the evidence from the couple’s so-called Trial of the Plant, including hours of testimony by British psychiatrist and neuropsychopharmacologist Prof. David Nutt, could also be included in the appeal case at the Constitutional Court. (a) an adult person may, [sic] use or be in possession of cannabis in private for his or her personal consumption in private. (d) The cultivation of cannabis by an adult in a private place for his or her personal consumption in private is no longer a criminal offence. This is certainly good news for human rights and drug policy reform activists across the globe, and heralds the turning of a new leaf for a country that has perhaps felt the effects of Cannabis prohibition longer than any other. 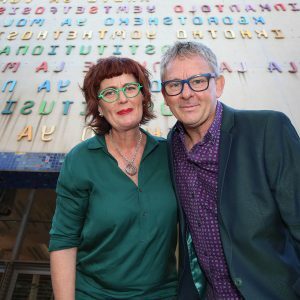 We chatted with Stobbs of the Dagga Couple a week after the sensational ruling. Here’s what he had to say about the historical decree. The news of legalization breaks on South African television. BigBudsMag: Do you consider this verdict a total victory? Jules Stobbs: The verdict is an excellent start, and a profound one, too: Unlimited growing and use at home, but with a ban on trade. Ironically, the judgment doesn’t change our legal status, because our charge sheet says “dealing in drugs,” so we will have to go back to court (and thousands of other South Africans) to see how our charges play out. Any arrests before the judgment will be prosecuted, so say the state prosecutor’s offices. BBM: Could you share some impressions of the day of the verdict? JS: We have been waiting nine months for the Constitutional Court judgment and ironically, [at the time of the judge’s reading] we were thousands of kilometers away on tour. We flew to Johannesburg for the day and then flew back. It’s worth pointing out here, this was the State’s appeal to the Western Cape High Court judgment in November 2017. We were applicants in the Constitutional Court alongside Jeremy Acton and Gareth Prince, but it was their day in court. We were only given the chance to add David Nutt’s “scale of harms” evidence into the court to assist the judges in their decision. Our trial in Pretoria, the Trial of the Plant, is ongoing and we wait for direction from our legal team. When the chief justice started the judgment by saying, “In a unanimous decision,” [Myrtle and I] knew we had a positive ruling and we both broke down in tears in the gallery! BBM: The judgment is strictly about use, possession and growing in private spaces, not about any commercial production or sales. 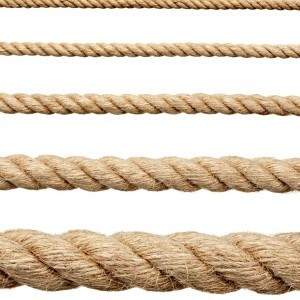 Do you expect any changes in the law to enable commercial production and sales in the near future? JS: We expect to restart our trial to deal with all of these questions. What about medicine, dispensaries, trade, hemp, etc.? Nothing about this judgment had anything to do with weed itself — only privacy. That’s what makes it so profound. We’re light-years ahead of the USA, Canada and Europe from the outset. We just have to argue the finer points now. But all the seed banks here have already run dry as the whole cannabis community is now growing their own meds. What a great feeling it is, too! BBM: What are your plans for the future? JS: There is still a lot to do. We have to get our charges dropped for a start. We are still on R1000 [ USD$68] bail each for the last eight years. That will be a poignant photo when we get the bail money back! We still have work to do at the United Nations and the World Health Organization as Fields of Green for ALL. We are in Vienna in November for the Cannabis Conference and funding dependent, and in Geneva in December for the WHO critical review of THC. 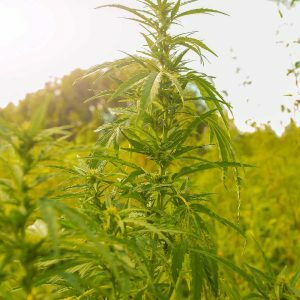 Let’s get cannabis de-scheduled worldwide!